Thank you Indianapolis for confirming what all NFL fans have considered doctrine since the Colts skydived into the first overall pick. Earlier this week, the Colts outspoken and avid twitter user, Jim Irsay, confirmed with the media that they will draft Stanford quarterback Andrew Luck. Thanks Jim, but I think we could of figured that out when ESPN declared him to be the best quarterback in the history of the NFL. Luck and Griffin will go one and two, its the thirty other picks that are undecided. Lets take an in-depth look at the first round, 1-10…..
After surprisingly drafting Christian Ponder at the number seven pick last year, the Vikings are in the top ten again after a disappointing season. The Vikings truly believe in Ponder and are hoping to add the necessary protection and weapons to make him the best quarterback for their team. Longtime LT, Bryant McKinnie, was the “blind side” protector for the Vikings, until he was cut after the lockout. A left tackle is needed in order for the growth and development of Ponder in the future. USC LT Matt Kalil, is head, shoulder, knees and toes above the other LT’s in the draft. He will provide the necessary athleticism to take on speed rushing ends. He also provides a solid, physical run blocking tenacity and will bring along a potential long and successful career in Minnesota. Cleveland has two picks in the first round, which makes this selection at number three even more interesting. The rise of Ryan Tannehill will have the entire league on their toes. Cleveland has lately said they will entertain trades up to the draft. However I look for them to keep their pick and NOT select Tannehill. I believe Colt McCoy, even when concussed and unaware of his surroundings, is a better quarterback and football player than Ryan Tannehill. If the organization believes McCoy will be a liability, Cleveland has been a notorious place for old veterans to continue their career. If they do not reach for Tannehill with pick number three, I expect them to use their pick on Alabama RB, Trent Richardson. He will provide stability in the backfield and could do damage with a pretty decent offensive line. The Bucs spent big in free agency this offseason to land receiver Vincent Jackson, guard Carl Nicks and corner Eric Wright to shore up three weak spots. Greg Schiano come in and replace Raheem Morris and improve from a disappointing year last year. Morris Claiborne looks to be the best corner in the draft and maybe the best athlete in the draft. Though he is not as great of an athlete at Patrick Peterson from last years draft, but he provides a physical but still a quick presence on the edge. 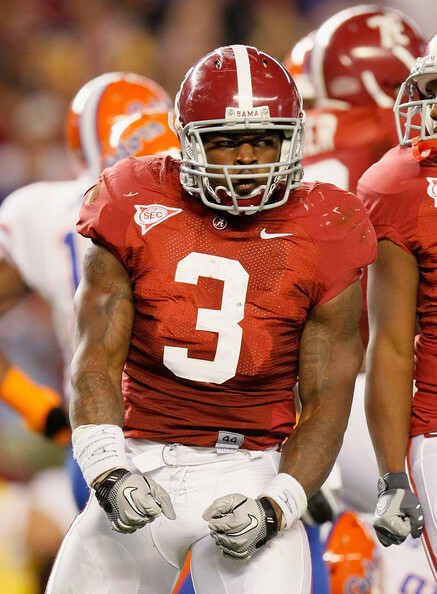 If Trent Richardson slips past the Browns, don’t be surprised if they take him over Claiborne. The Rams struggles at quarterback was not always because the pass was not there on time. The receiving core struggled immensely as the season went on. They currently have no go to threat for Sam Bradford to go to when he needs that third down conversion. 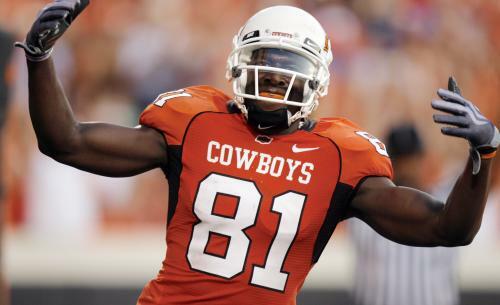 It is likely they will select Oklahoma St. WR Justin Blackmon who will provide a big time receiver for Bradford. Though he is not a in the same class as A.J. Green and Julio Jones of the previous class, Blackmon is a solid go to guy. The Jaguars grabbed hopeful future starting quarterback in Blaine Gabbert, slightly earlier than most expected in last years draft. Now they look to provide a solid infrastructure to support his growth and development. The team signed Laurent Robinson and Lee Evans to help improve the current receiving corp but could look to go get WR Michael Floyd out of Notre Dame. Though he had numerous incidents in South Bend, his talent and athleticism can not be over looked. He is a big, physical receiver and moves well in and out of his cuts. However, don’t be surprised if Jacksonville goes defensive with the selection of Melvin Ingram or North Carolina’s Quinton Coples. Tony Sparono is out and in comes former Green Bay Packers offensive coordinator, Joe Philbin, to help recover the Dolphins franchise. With the Philbin taking the helm, everyone almost guaranteed that his former backup quarterback, Matt Flynn, would be taking his talents to South Beach. However, he opted for the rainy days in Seattle with Pete Carroll, so now they are scrambling to find a franchise quarterback. Or are they? Matt Moore did not look to bad last year but can he truly be trusted with the franchise? With the number eight pick, this where Ryan Tannehill should not necessarily be taken, but is a better fit than any higher than this pick. The Dolphins may end up trading up to get him, but I think they will be the team to take the risk on Tannehill. Cam Newton was a hit in his rookie season, as he managed to bring some excitement to Panther fans that has not been seen since Vinetari kicked away their Super Bowl aspirations They are again back in the top then of the draft, but now at the number nine pick, PROGRESS!!!! Even with super Cam, the defense will have to improve just as much as the offense did a year ago. Their run defense was one of the worst in the league last year and they need major help. Mississippi St. defensive tackle, Fletcher Cox, looks to be the best defensive tackle in the draft. Many scouts say he is ready to play once training camp begins. He will provide a big body at nose but as well an athletic guy that can sparingly give you tackle for losses and sacks. The Bills were “busy bees” in the off season, adding former Houston Texan DE, Mario Williams to improve their pass rushing. They also went out and got former Chicago Bear and Patriot, Mark Anderson to go along side Williams. The biggest move was keeping young, talented receiver, Stevie Johnson in a Buffalo uniform. However, Demetrius Bell is gone, which leaves a massive hole on the left side of the line. The Bills have no choice but to stick with Fitzpatrick, after giving him a lengthy deal after a pretty decent season. Riley Reiff is the second best left tackle in the draft and should replace Bell on Fitzpatrick’s blind side. It would shock me if they did not take Reiff, but the next best guy at the position is Jonathan Martin from Stanford. Most have him however, going later on in the first round. This entry was posted in Football, Home, National and tagged Andrew luck, NLF Draft, Robert Griffin III, Ryan Tannehill, St. Louis Rams.